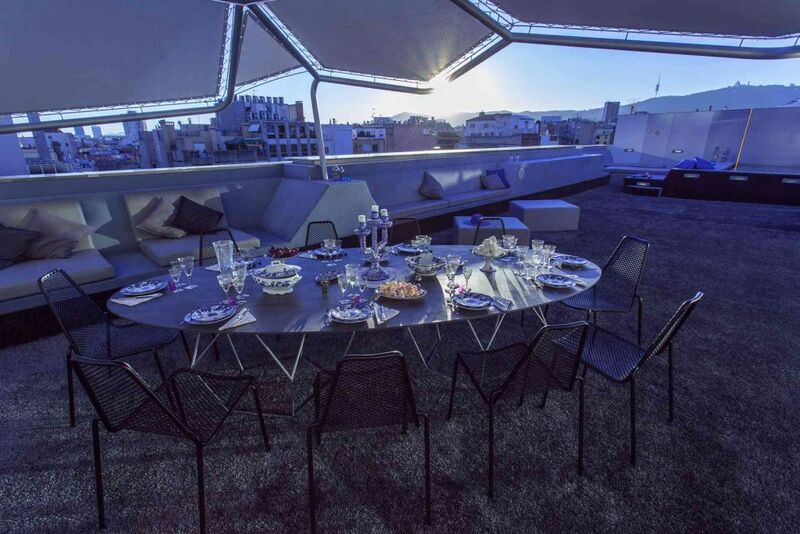 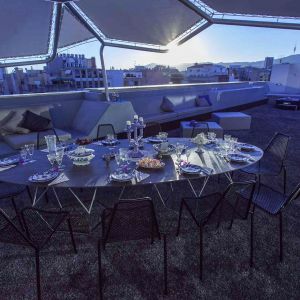 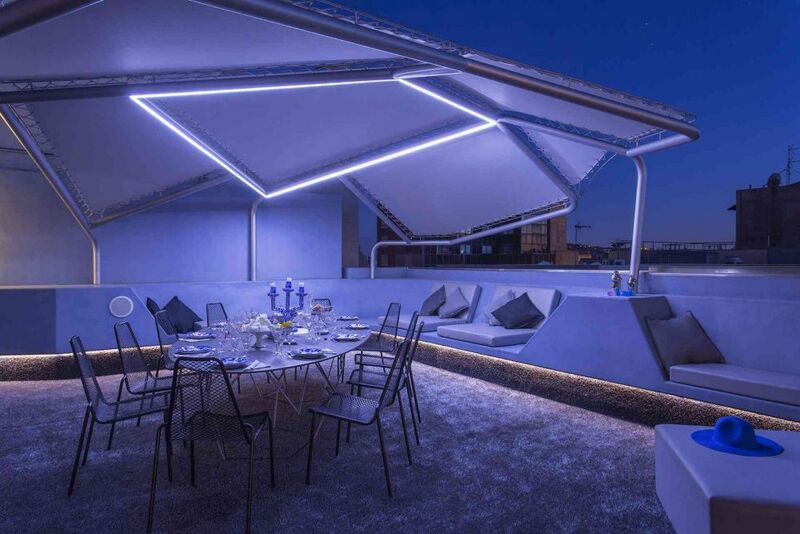 Textile cover stretched over a metal structure located in a penthouse in Barcelona. 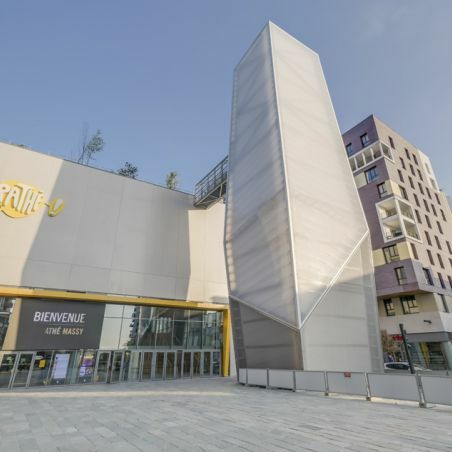 The project consists of a metallic structure with 5 pillars and 6 textile pieces. 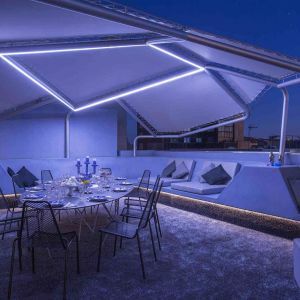 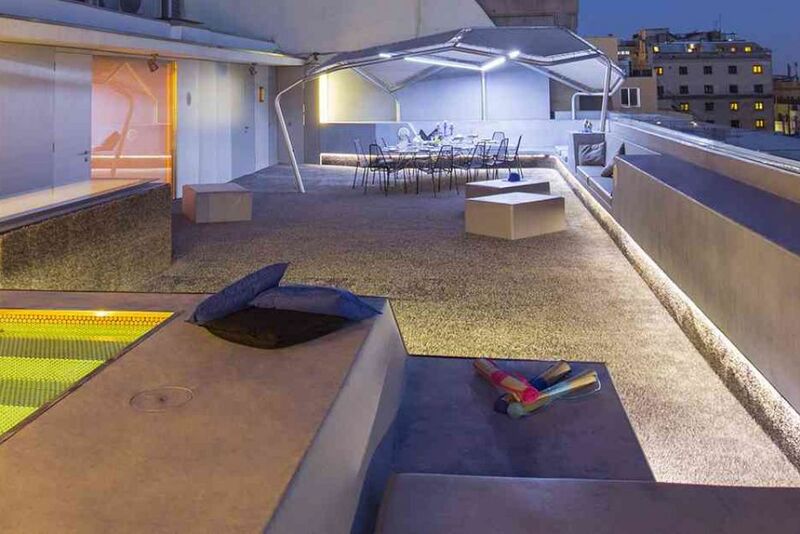 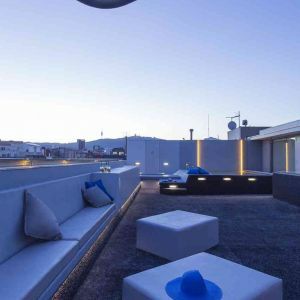 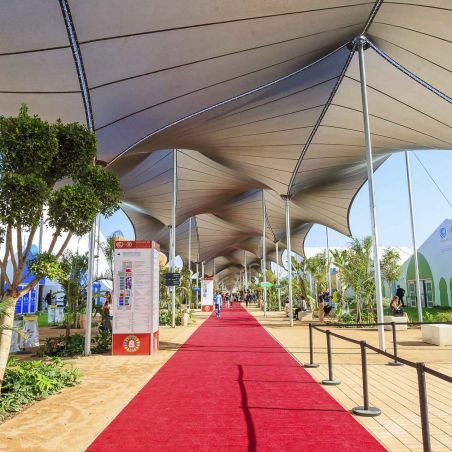 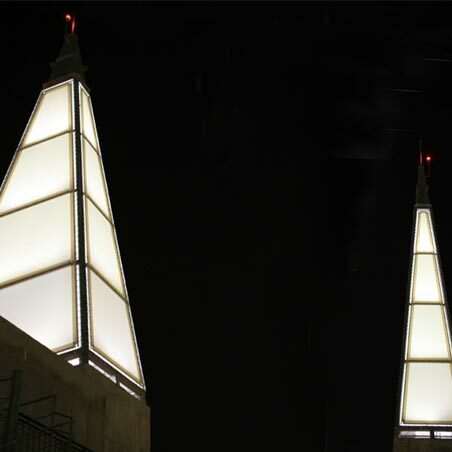 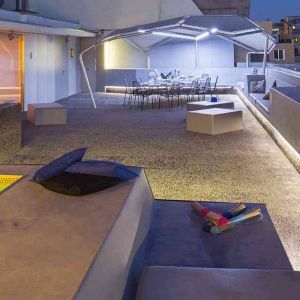 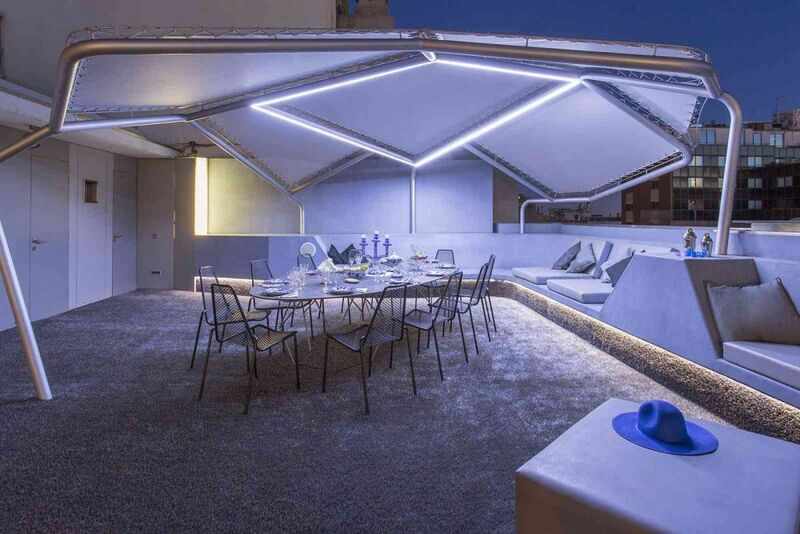 With an irregular form, the tensile structure covers the major part of the terrace and besides, in the central part, a LED lighting has been installed. 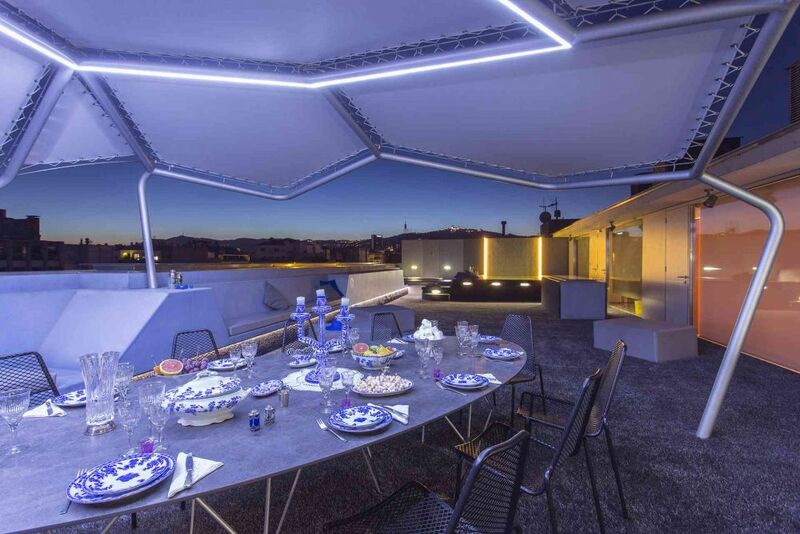 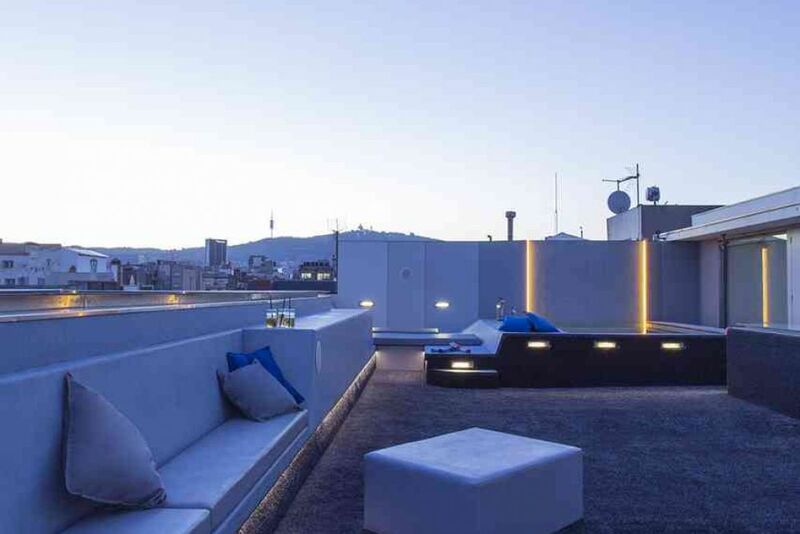 With the methodology, comprehensive project, design, manufacture and installation, the technical department of IASO has contributed to obtain as result a modern and open element which is very integrated in the terrace of the Ciudad Condal. 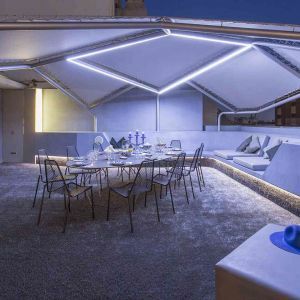 The mesh membranes are a permeable fabric and they are fastened with elastic cords and eyelets. 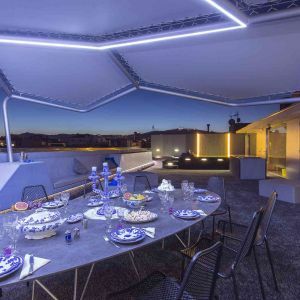 It has been chosen a membrane which controls the sun passing for the luminosity and besides, it has a large colour range in order to adapt it to the needs of a project like this, where the colour is an important part. 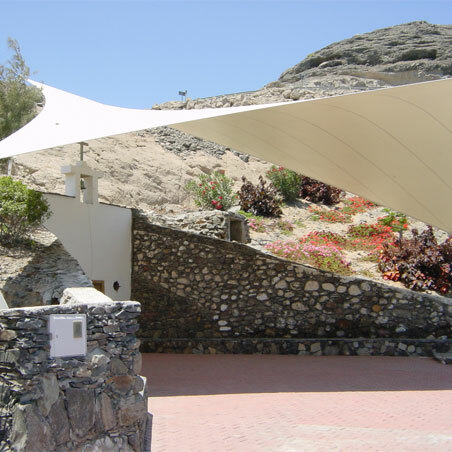 The membrane fastening makes that the fabric behaviour is the appropriate, having the needed elasticity in the fixation.